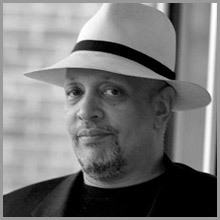 The Friends of the Libraries will host celebrated writer Walter Mosley tonight at 5:30 PM in Metcalf Hall (2nd Floor of George Sherman Union, 775 Comm Ave). Mosley is the author of more than 34 critically acclaimed books, including the bestselling mystery series featuring Easy Rawlins and Devil in the Blue Dress, which was adapted as a film starring Denzel Washington. Mosley has been the recipient of the O. Henry Award, a Grammy and PEN America’s Lifetime Achievement Award. Prizes for the prestigious Lawrence G. Blackmon Student Book Collecting Contest will be awarded before the lecture. The event is free to Friends of the Libraries members and BU students, $25 per person for the public.